Son Yeo-Ri (Oh Ji-Eun) was raised by wealthy foster parents, but she is abandoned by foster parents and her boyfriend. To protect her child, Son Yeo-Ri goes to prison. "Unknown Woman" takes over KBS2's Monday-Friday 19:50 time slot previously occupied by "First Love Again" and followed by "The Secret of My Love" on September 18, 2017. Lee Seohwa Dec 26 2018 5:05 am I’m so confused about episode 39, why Maya has the birth mark clover? Is Bom really Son Yuhri’d daughter or is it Maya??? Joachim Nov 27 2018 6:23 am I loved watching the drama and at the same time, it annoyed me. Son Yeo-Ri had no quick memory to analyse things around her. Next time, let it be straight not wasting a lot of time on one thing. @Kim Ma-Ya well done. Keep the smile and good acting. doctorzais Feb 08 2018 2:29 am Not sure why these over the top dramas always get the best ratings. It wasn't bad but feels so formulaic. Must be what Koreans like. Kris Sep 25 2017 9:20 am I really don't trust the stats. It took months to put up. Also look even stats in the teens make to to first place? Optimistic Viewer Sep 22 2017 6:10 pm One Great Ending among the countless kdrama I've watched... I can't stop my tears in flowing for the little happiness and gladness. They already tied all loose ends except for one, WHO is Yeo-Ri's birth father? This drama leaves a small window for 2nd season, Yet so many plots to take... Especially that question "Who is Yeo-Ri's father"
Joyce Wood Sep 22 2017 10:17 am Who was or is Yu-Ri's birth father in Unknown Woman korean drama ? Izz Sep 22 2017 6:43 am Please make a sequel after this. I really enjoyed watching it!!! Kris Sep 19 2017 2:43 pm Not entirely sure what episode is still being broadcast on cable. So I happened across the series again since it's not done YET. Does every third person Hye Joo come in contact with get hit in the head? And Lawyer girl leaves BOM alone in a car after being separated from her for years and the evil people still walking around free? How does the the dad have a bionic skull? How on earth would a lighter not recovered by police at scene but just walked in off the street that happened to have the wife's fingerprints on the lighter mean anything related to the arson? Are you kidding me? Are there no phone records in Korea both sending and receiving that are not managed by the consumer? There are so many closed circuit video cameras around, how do people get away with so much? Who is writing this? Do they have connections? What difference does it make to go to prison in Korea? It seems fairly easy to get out in a short time. Which episode is the one with the lighter handed over to police. 100? 101? CP Sep 17 2017 7:38 pm Entertaining drama. I enjoyed watching the actors with all their craziness. CP Sep 17 2017 7:36 pm Entertaining drama. I enjoyed watching the actors with all their crazy antics. skiptyler Sep 16 2017 8:08 am Please make a season 2 of this. Bcoz I love the actors and actresses the way they act. superduperalya Sep 15 2017 10:24 pm ngl now I dont know to watch others kdrama after this one end ! in my opinion, the actors and actresses have done their best and their acting was already on point. Please make a drama with them again. Also, please recommend me some kdramas. Jerixsuzuki Sep 15 2017 9:25 pm Finally the final episode is so beautifull.. After all twists and turns.. There's one memorable great ending..
Skiptyler Sep 14 2017 8:28 pm Please add more episodes I can't move on if this drama will end tomorrow. Great,fun and stunning drama series.. Btw is there 2nd series? Kris Sep 12 2017 11:34 am 102! They are only airing 94 or 95 right now KBS Comcast/infinity. I don't think they will be starting the next series in September like mentioned above. How often can he have a head injury and still be alive? Nameless Brainless Woman Sep 11 2017 9:14 am KBS I don't know how and why a lawyer (Son Yeori) can be so dumb. Please change this format with your lead characters. It is so unentertaining. Episode 98 and still Son Yeori is dumb. Hahaha is this a comedy? Hae Joo hit Bom/Maya with her car? Jamse Sep 07 2017 11:40 pm I like this show but am really getting sick of Hae Joo and that weasel Moo Yeol spending every episode doing nothing but smirking at each other about the blatant crimes they keep committing that blow up in their faces. Especially since they'll probably both turn over new leafs in the last episode and get off Scott free. It sure would be nice for some deeper character development but it's obviously not going to happen. Jerixsuzuki Sep 06 2017 9:01 pm Those who hates this drama.. why you still watching it huh? Just caughting our attention? Nah.. episode 94 both jiwon and yeori knows that they are mother and daughter jiwon realizes now her sins she did to yeori and one thing that i started in my mind that the person named phillip that calls choi mee hee on episodes 93-94 is maybe jiwon's first love aka biological father.. that would be great twist.. i still love this drama :) even you hate it.. this drama ratings is growing..
Jerixsuzuki Sep 06 2017 8:55 pm Episode 94 and both yeori and ji won knew that they are mother and daughter. At first obiously ji won denys the truth about it but in the end she realizes the sins she do on yeori and in the end too yeori knows about it and cliffhanger.. But something just started in my mind.. i don't know if i'm the one or everyone on their mind that the person named 'phillip' the one that calls choi mee hee on episode 93-94 . I started to this that maybe this person 'phillip' is ji-won's first love aka yeori's biological father. I can't wait for it. And for you guys that hates this drama.. so if you hate it why you still WATCHING IT. Huh? Caughting attention? No matter how you hate this drama.. it's still growing up their ratings so no excuses.. Ao you guys hate it but there's some guys who still loves this drama.. I love this drama, I have watched all episodes up to now (92) and can't wait for 93 on Monday. The music is very nice (Kiss N's voice adds to the emotions deriving from the plot), I am enjoying every character, Bae Jong-Ok's role as the main villain is very convincing yet I was intrigued by the chemistry of Park Yoon-Jae and Oh Ji-Eun very much as well as their romance part. I would recommend this to anyone who likes romance, drama, and tragedy. It is a 100 episode drama yes and although I have always given up on dramas that are more than 40 episodes - I really can't stop watching this one, it has me totally hooked and always looking forward to next episode. Excellent drama overall, although the plot could be more complicated, the acting is very good. I would give a 9.5 to this drama (and I've never given more that 7 rate so far). Tp Sep 02 2017 9:26 am Why watching this drama is such a pain in the A$$? The dumbs keep being dumber. Whereas the villains keep doing their evil deeds relentlously! Please write something that at least makes sense to the human beings so that it is understandable! Why keep repeating the same old same old? Such a ridiculous and painful drama to watch! ?? Kdrama craze Aug 31 2017 6:32 pm For me the unrealistic part about this drama is Hong Jiwon. She commit a lot of sins and yet she never once go to the prison instead the writer make her character always win in every episode. Starting from get involved in yeori's dad car accident, kidnapped yeori to save her son, put yeori in prison, kidnapped bom as a substitute of maya, faking the death of yeori's dad and what else we have..
dramalover Aug 30 2017 7:55 pm Im so annoyed by how their dragging this out ughhhhhh its pure agony, i don't know if i can hold on much longer. Its just 4 people going back and forth and no story building, the pace is so slow. im about to gage my eyes out, ive been so bored that ive been skipping through scenes. And Im so tired of HJ and her evil husband winning every episode. yeori never won a single battle in these past few episodes. its just been evil,evil,evil. im kinda getting tired of it now. when will justice serve? i just cant wait until this drama is done so i can move on lol I've come this far no point in dropping it but man oh man is this annoying. i needed to come on here to vent. anyone else feel like this drama is dragging? KOREABOO Aug 30 2017 6:24 pm We are at the 91th episode and I'm still waiting, it's clearly unbearable to wait from the first episode to now. Wtf are they thinking by killing this drama with a good plot in the beginning? It's annoying me to wait, every episode has the same boring impression to watch the same story again and again. 91 episode and ji won still don't know that her daughter is Yuri dafuck? Should we wait for the end of the 99th episode to finish the entire chapter? Seriously this drama is getting on my nerves..
Jerixsuzuki Aug 24 2017 9:52 pm Everyone should stop hating this drama. All dramas have pros and cons but still unknown woman is still amaxing drama just like temptation of wife and two wives. Even sometimes yhe writing is bad and their acting they just amazing. They worked hard for this drama yet you all guys just hating this. If you hate this then stop watching it. You guys pretend that you all experts of korean dramas so would you go there and act instead of them or write episodes instead of the writers. Lee Aug 23 2017 7:10 pm It's pretty enjoyable. I'm hooked :). Kris Aug 23 2017 8:35 am I'm aware the children aren't really dead. It's not really the fact sometimes a kids character might die. It's the abuse. The hitting, favoritism, cruelty beyond simply dying from an illness or accident. There are dramas that have kid actually have real roles, five children for example. They were not always in the scene for the sake of the background. They were not used to be tissue donors for other people. They were not pawns in some grownups plot for revenge. I wonder the effect on the child actors even being exposed to this drama. What date in September with KBS have a new opportunity for a quality series? Kris Aug 23 2017 8:02 am It took until yesterday to show up when the next drama would start. And not very specific either, sometime in september. makan Aug 22 2017 3:52 pm @ Kris... why are you commenting over and over if you hate this show, DONT WATCH! it is pretty simple. For me, I like this Drama a lot. Even with crazy unrealistic storylines, it is still a fun drama to watch. I love the acting of Oh Ri-Eun and Bae Jong-Ok. Yes I too would rather not see children die, even in dramas. But it is just that, a drama show those kids will grow up to be adult actors and live and maybe die in many other shows. Kris Aug 22 2017 8:30 am Please make secret of my love different in every way possible or don't bother broadcasting it to North America. This formula of bad acting, cruelty to kids, excessive corruption may work in Korea but it's just too much nonsense. Enough revenge themes. Enough misplaced anger. Aren't there any mental hospitals in Korea? September can't come fast enough. Who is making programming decisions and who do they know? What connections do they have? Kris Aug 22 2017 8:22 am Hoping this rotten show ended I turned it on to see yet another child dead in the first 60 seconds and a mom who can't seem to remember it. Please put this show out of its misery. Have them all perish in some natural disaster or train accident, except any kids still alive. Stop stealing other people's kids. Gosh. This drama should have ended at 16 episodes. David LaForest Aug 16 2017 7:09 pm Honestly this has been drawn out way too long and the plot is getting more ridiculous. Mario Aug 16 2017 6:26 pm Jiwon is so quick to find solutions when faced with a problem. Never short of money for payoffs. A sinister mind with lots of cash. And she's only a housewife. Wow her role is so IDIOTIC. does the writers think we're so stupid? Its not entertaining anymore. Irritating is a better term. Yes yeori seems to be dumb for a lawyer. Tp Aug 15 2017 5:43 pm This drama is actually good but too much ridiculous scenes & the worst is that Hong Ji-Won is just a gangster without any morals! Tony Lee Aug 15 2017 6:36 am This drama is by far the worst k-drama that I've ever watched. Is Son Yeori REALLY that naive, dump and stupid? Episode after episode, she's always got duped and she's ex-lawyer. What a joke! This is all due to poor script writing. This drama should have ended at 50th episode and it would be nice. The plot and storylines got messy when being dragged for too many episodes. It's so taxing and tiresome to watch too many episodes especially when the drama script is badly written. I hope the next replacement drama will not have too many episodes. hko Aug 15 2017 4:01 am what is the replacement of this drama I want to be updated. please indicate now. Lancer Aug 14 2017 11:32 pm The first half was enjoyable but around ep50 the show became a comedy. Mario Aug 12 2017 6:25 pm Jiwon and haeju seems to have their mens every episode. Always shouting. Do koreans always listen at the door? Bionic ears? For a chairmans housewife, jiwon seems to hav so much cash for payoffs. Do they hav tentacles on all the police and goons? Is korea this corrupt? Sobra pa sa CIA. Angel Jonas Aug 11 2017 1:15 pm the writers in this drama make the main leads look dumb and stupid. this drama could have ended at 50 episodes, yet they the writers chose to prolong it at 100 episodes. Kris Aug 11 2017 11:40 am Send the actors all to acting school, send the writers back to school, end this series. I'd like to hope the one that follows will not be this bad. 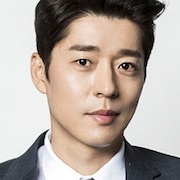 They are all like actor Ahn in the first 3 episodes of my father is strange, his character was famous for bad, robot acting. All these actors overacting with no feeling. Not surprised as the writing material is horrible. At least actor ahn's character was only pretending to bad and got better. Aigoo! Jerixsuzuki Aug 10 2017 3:47 am I watched this drama since episode one and until now episode 75. 25 episodes left and still waiting for the bad ones punishment and the father of yeori will possibly appeared. But the negative side is Hae-joo's screaming like wtf!?! It still irritating my ears those screams just like the fast-moving-car-then-suddenly-brakes .. yeah just like that.. however oh ji-eun acting is really good. Her emotions and how her deliever her lines was amazing. Their make-ups and outfits are good enough but sometimes the outfits of yeori(ji-eun) are like out of place.. i couldn't think a word for that but it's good. makan Aug 04 2017 3:54 pm So I am still watching this drama and yes it is my guilty pleasure. It really is fast moving and yes, a bit silly as many of the daily dramas are. But I just love Oh Ji-Eun! She makes up for the sometimes weak writing and storyline, but even those are not too bad considering it being a daily drama. I can't put into words just how much I love this drama... I don't compare it to the weekly dramas because it is supposed to be a Daily Drama and it does exactly what it should do... entertain. Ipha Aug 04 2017 5:42 am Can this drama be anymore suffering. Please when it all going to reveal the truth of their lies? It can't be 100 episodes. Come one. When is the happy ending going to happen. All the bad guys needs to get punishment they deserved. Come on, let the good people get their happyness. I can't Waite when the mean hong jiuong finds out that Yuori is her real daughter. yuxelle Aug 03 2017 6:46 am I don't remember how many times I wrote that this drama was very boring but I still wonder and watch it everyday. 100 episodes are really too much to tell this story. My opinions about the three male characters changed very much. Doochi and, his brother who nearly became a good person after the accident are nice to watch. Mooyol is really a very disgusting loser and serves well to Jin-Wo as a puppet. Nothing is surprise at this drama from now on but is still enjoyable. Ken Aug 03 2017 5:41 am I hate Yeori 's character ka mango!!! I'll never never watch this kdrama anymore....!!! Kailinit..!!! Aysa Aug 02 2017 12:06 pm This drama is soooo illogical. Plot doesn't make any sense and it's repetitive. Please make this drama stop ! Jamse Jul 31 2017 12:04 am I really like Choi Yoon-So but all they have her doing here is screeching and being an idiot, not necessarily in that order. She and Oh Ji-Eun were a lot more effective squabbling over Donghae in Smile Again, plus they looked like they were having fun doing it. Hey Bong! Jamse Jul 31 2017 12:00 am I wonder what happened to Yeori's friend in prison, also there for a crime she didn't commit? You'd think Yeori as a former lawyer would want to help her with that. Possibly she'll show up later, but strange that once she got out that was the end of the relationship. shen Jul 28 2017 5:44 am this type of story keeps on going over and over again prior to those previous korean drama. No surprises at all. Kris Jul 26 2017 12:03 pm My guess is the treated horribly woman wrongly sent to prison is biologically related to the evil elder witch which is why she was a match to the son who died. She will likely save the woman's life like in Queen of the Game. There are so many better dramas. Someday. Gourmet. My father is strange. Let's eat. Please send the kids abroad with the paternal grandma to study and stop using them as props or examples of cruelty. Or end this series early. Marie Anne Jul 26 2017 2:08 am This drama is going in circles and dragging all its way up to 100 episodes - so boring! Some of the episodes are incoherent and unrealistic. Honestly, I think the producer should replace the existing writer for this drama. Kris Jul 25 2017 11:19 am So the mom publicly gives her daughter an award. Really? Lmd Jul 24 2017 10:02 am Come on ppl!!!!! This is BS!!! Like no way you are going to see so many signs and not think it is your daughter. This is such a boring drama. It infuriates me that writers are DRAGGINGGGGGGG the drama because they have no dam plot to rescue it. Ah!!!!!!! Kris Jul 19 2017 11:48 am Keep waiting for it to be the last episode. Can people really go in and out of a holding cell like that? Kris Jul 18 2017 12:27 pm Is this awful drama even getting good rating in South Korea? I will stay clear watching new dramas with actors in this drama. First love again was awful, the promise was awful, two mothers was awful. Is this the awful drama time slot? SoOverThisShit Jul 18 2017 5:04 am Why are all these characters garbage? Seriously. Is this a Korean thing? jj Jul 17 2017 11:42 pm I wish the next drama that will replace in the unknown woman is the impostor and i hope Nam Gyu Ri will have a dual role in the show. Kris Jul 15 2017 11:23 am Another scene where grown ups are cruel to children. Kris Jul 15 2017 11:19 am 100 episodes of this? Really? vixdu Jul 11 2017 12:35 pm Can I kill Hong Jiwon with my own hands? climax Jul 10 2017 11:36 am Plot is so olddddd! amisha vidwanthi Jul 07 2017 9:36 am i watch this series from the first epi ! and this is really interesting icant wait for the next epi. 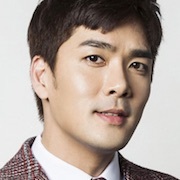 park yoon jae i really love you alot! Lmd Jul 05 2017 10:57 am What??? Starting to get better??? Roller coaster test in plot??? Where???!!!!! Please do excite me! This story is so boring,teoría is so stupid just plain stupid. Does nothing right I mean the story can't be worse that already is. Writers please be mature and try NEW THINGS!!!! Maria Jul 05 2017 5:32 am At first I didn't like the start of this drama. But now, it is starting to get interesting. Ophelia Jul 05 2017 12:53 am Just watch few random episodes, not one of tv series to waiting for next episode. So many weak plot and mistake/"stupid" misunderstanding by Son Yeori as main character.... Chemistry of cast is not believeable...... Much prefer My Father is Strange... Plot, storyline, cast chemistry thumbs up!! Kris Jul 04 2017 8:25 am Waiting for this nightmare of a series to end. Hoping it was over I turned on the channel to moving men physically removing people and their stuff from a home without any warning. Is this really what you want foreigners to think can actually happen in Korea? More five children, what will happen to my family, Childless comfort, alone in love, someday, flower boys next door, laurel tailors, ten, ten2, let's eat type series. Please. Jamse Jul 03 2017 10:39 pm Just over the half way mark and everything about Yeori is known to everyone. Makes me wonder how they'll fill up the rest of the episodes? april Jul 01 2017 4:09 am same plot, same scenes..but such a good drama..waiting for the next episode. Vagner Jun 27 2017 5:20 pm Im watchingbecause of Hoon, actually. But the drama is very good ! Anastasia Jun 24 2017 12:02 am This is an awfully bad drama..and the acting of the cast is no better! Nothing worth watching in it..too bad! Gina Jun 21 2017 11:43 am Amateur writers,clearly they have no life experiences of ups and downs to move the audience, Oh Gi Eun, painful to watch as she tries her best, this drama is a flop at best. yuxelle Jun 17 2017 10:40 am I generally can say that this drama is quite boring after the 20-21st something episodes.The good guy (the man with is the white horse) and the bad guy is quite apparent from the first. With all my respect, I can't say anything bad about the actor who plays Doochi character but I hate the Doochi character. He is everyhere, looks stupidly, always in good manners and behaves too well to be true and who continously insists on the main woman character. Myeol who wears the same kind of suits and clenchs fists is much more real, sympathetic and attractive..
마크 Jun 15 2017 1:13 am I'm watching this because I love Oh Ji-Eun also even if the general plot is the same as other long dramas in the past I will still watch it if I like the actors/actress that portrays the characters... plus seeing the roller coaster plot twist make it interesting to watch how will they overcome it. Kris Jun 14 2017 12:00 pm When will this drama end? LMD is right. Same drama different actors. More five children, more what will happen to my family, more childless comfort.. much more attractive to foreign audience. Lmd Jun 13 2017 3:50 am Boring!!!!! Same as all other long dramas the plot doesn't change only actors. Diana Tan Jun 08 2017 9:13 am How many episodes is this drama? Loves seo ji seok Jun 07 2017 4:31 am Im i the only one who wants yeori end with myeoul (sorry cant speel right) ik he betrayed her but i dont really think dochi and her fit perfect and sometimes you make a mistake in life,there must be a reason ,somtimes we have to leave others we love in order to live ! Bad but i really hope yeori will give him a chance again . Ughhh???? ?my opinion) god plzzz put them together i cried too much for them!!! yuxelle Jun 03 2017 2:04 pm Hi, I think I am the only one who wants You-Ri come together with Seo Ji-Suk (I cannot write the character names exactly,pls forgive me) eventhough many bad things happened between them.Yes,He exactly betrayed the woman whom loved very much but this is not a black and white situation.There are many reasons,lies and his naiveté who probably caused so many wrong choices of him.The other male character is too good to be true and I do not like him very much. We are all human beings with faults and need to be forgived and sometimes forgive..
Putrisya156 May 31 2017 1:43 am I really hope Yu Seol and Dochi because they are soo perfect together!! I love them!! Anastasia May 25 2017 5:10 am Predictable story line..poor acting and a bunch of really ugly (sorry to say) people in this series. Lee In Ha and Bang Eun Hee top my list of hurtful to the eyes faces and silly acting. Rosemary May 24 2017 9:19 am Ji Eun is very stiff in her role as Yeo Ri. I don't quite like her acting here. Just doesn't look natural. Bob May 18 2017 12:29 am UPDATE- So I posted a comment on May 3rd. I said that this drama was off to a bad start and while the actors were very good, the storyline was full of holes and was not sure this drama would make it. Well here we are a few weeks later and the storyline still has some holes but WOW I am really hooked on this now! As expected the acting is very good, well for the most part. Oh Ji-Eun is amazing! For anyone starting this drama, please be patient and pay attention in the early episodes. And don't let the weak start stop you from watching this drama. It really gets much better as time goes by, give it ten episodes or so, you will be happy you did. Kanja May 12 2017 11:27 am I wonder if Yeori/Seol agi Bom is really dead or is Madam Hong just playing a really cruel prank to get back at her as revenge for namdongsaeng Haeseong death by hiding her? This witch is really something else, to think someone could truly be that evil, but I look forward to the revenge although the narrative of the storyline is so played out I've seen in various other drama, I love Oh Jieun so much that I will just stick it out and accept the linear plot. Hopefully she teams up with Dochi to take down Goo family, because Dochi hyung Doyoung treats him like crap too as if they're not family. Ever since he killed their eomeoni when Dochi is young boy and witnessed it, he has just as much motive as Yeori/Seol now to get revenge on hyung. Anyway in the end I think Yeori/Dochi will become a couple. I like revenge dramas and this on has all the elements. The mother who tortures her unknown to her daughter, the presumed dead child who obviously has been substituted and mistreated by the mother who doesn't realize she's her one and only real grandchild. And Oh Ji-Eun who I've loved since Three Brothers and Smile Again. Hope they keep the show interesting to the end. Philip Le May 10 2017 7:06 am I love this drama, and for some people it will be hard to understand the storyline but if you understand it like me it would be so good and this is not the first K-drama that I watch but so far this is my no.1 K-drama. Kelly May 10 2017 12:50 am I passed by this as recommended on Youtube (I've been a consistent watcher of Korean Dramas), at first it was the typical (expected plots) and very hard to follow (since it was too fast). I almost dropped it, however I thought the actors were very skilled, so I still tried to watch it. Past episode 7 it actually turned out really good, I' wish they'd upload faster now. LOL. Nujabes May 08 2017 2:08 pm I love poorly written dramas. It's really good to watch when you're bored or for people who are looking to learn korean with simple sentences. The pattern is really easy to follow. I am going to give it a bit more time because of the actors. Lots of talent here, so maybe once we get past the set-up of the backstory, maybe it will become what I hoped it would be. Not sure that even having good acting will be able to save this. I am a fan of KBS, but this might be the weakest start to a Drama in a long time. NellyJelly_ May 03 2017 2:03 pm This drama is very good. My only problem is that we have seen 15 episodes worth of backstory stuffed into 8. The story is very good but for a first time watcher like my sister it is very hard to watch when the sorry goes so fast. There are so many flashbacks and jump shears that is it hard to follow. Vixdu May 03 2017 7:56 am This drama seems abit similar to Heaven's Promise. Do only I think so? Kris May 02 2017 5:18 pm This sort of story may be popular in Korea, but please be more selective about you send overseas. Will be watching less KBS. Sue May 02 2017 1:02 am This is another First Love Again story. Rich and poor people. it is very depressing story and it is only up to ep 6. hoping the ending is not going to be sad but good. Jamse May 01 2017 10:04 pm I would give anything for Choi Yoon-So to turn to Oh Ji-Eun and say "Hey Bong!" ?. I also like the dynamics of the casting. If Oh Ji-Eun had been able to stay in Blow Breeze she would have tortured as a fake daughter Han Kap-Soo who plays her father in this show. Fun to watch the same actors in different roles. Kanja Apr 28 2017 6:24 pm @Ignatius J. Reilly The drama started airing since April 24th..which is already first week completed. Ignatius J. Reilly Apr 28 2017 5:57 pm How can we have a rating on a drama that hasn't yet been aired? Blunt Apr 25 2017 6:51 pm Unpolished drama. The minor scenes, like the ones shot in the prison, are laughably bad. But then, they are great ones too, like the stealing of the painting. Han Kap-Soo, who is supposed to play the driver, acts like the company's CEO. But then, Oh Ji-Eun and Choi Yoon-So are fantastic as leading actresses. So, I don't know... I guess I wish the production quality was more consistent. Kanja Apr 21 2017 12:49 pm The trailer looked so great. Oh Ji-eun & Seo Ji-suk will be on this drama...Ireum eotneun yeoja too?! I'm very thrill and hopeful for it. The promotional poster may seem to indicate otherwise right now, but I hope Seo Ji-suk character end up being adeul of Bae Jong-ok character. Unknown Woman Apr 10 2017 3:51 pm Waiting for that day to come.